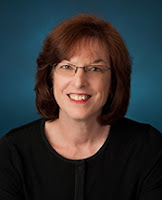 JH: Please help me welcome Nancy Sakaduski to the lecture hall today, to share some tips, tricks, and insights on how indie authors (and anyone else for that matter), can use short story contests to gain credit, get visibility, and promote their work. Nancy Sakaduski is the award-winning writer and editor who owns Cat & Mouse Press and runs the Rehoboth Beach Short Story Contest. She helps writers perfect their short stories and prepare them for publication, and offers writing tips and advice through her blog and online newspaper Writing is a Shore Thing. Answer? Depends on the contest. Contests and anthologies can be a great way for indie authors to add a publication credit, gain visibility, and promote their work, but not all of them are legitimate. How do writers weigh the advantages and disadvantages, avoid bogus contests, and increase their odds of winning? Here are some tips. If you’re a beginner, entering a writing contest can give you practice following guidelines, writing to fit a word count, editing your work, meeting a deadline, and having your work evaluated. If you’re an experienced writer, contests let you experiment with different genres, writing forms, points of view, or subjects. Either way, contests can be a way to gain money, publication credits, visibility, and experience. May give you a foot in the door with a publisher Can be a lot of fun! How Do You Know if a Contest is Legit? Before I started the Rehoboth Beach Reads Short Story Contest I researched writing contests and learned “best practices” so I could ensure our contest was fair, fun, and provided good value to the writers. What I found was that while there were many great contests, there were also contests that were nothing more than money-making schemes, spammer data-collecting operations, or rights grabs. Who is running the contest? Contests run by vanity publishers, book doctors, fee-charging literary agencies, or editorial service companies are often simply a way to get clients. Someone may win, but often everyone is a “semi-finalist” whose work just needs editing (for a fee), an agent (for a fee), or a publishing package (for a giant fee). Check the list of who to avoid at Writer Beware. If it’s difficult to tell who is running the contest, steer clear. For a short story contest, you should expect to pay no more than $20-30 per entry (we charge $10). Contests that require high fees are often just money-making schemes, and although there may be a published book at the end, their goal is to get as many entries as possible. These kinds of operations may also have dozens of categories (each with a fee) so writers will pay more. If the contest is free (unless being run by a nonprofit), question how they are making their money. Are they going to require you to purchase an expensive anthology? Coaching services? Plaques or trophies? Or perhaps they are just collecting emails and will spam you relentlessly or sell your email to advertisers. What rights am I giving up? Writers should never give up ownership of their work. Read the guidelines carefully and ask to see the contract if there is one. Look for phrases such as “all rights,” “irrevocable rights,” “perpetual online publishing,”“in perpetuity,” or wording that allows them to change the terms of the contract after you sign. Legitimate contests require “first-time” or “one-time” rights, but the author retains ownership. Verify that the prize is actually something worth winning. If it’s $1,000, great. But if it’s $1,000 in credit toward a publishing package that costs $5,000, it’s a marketing hook, not a prize. If the prize is a publishing contract, ask to see it, and don’t agree to publication without seeing the contract to find out what rights it will require you to grant. Have previous prizes been awarded? Have previous winners been named or does the deadline keep getting pushed out? If the prize is publication, have prior contests have actually resulted in a professional-quality book that was commercially published? Anthology mills often produce books that are sold primarily to the entrants, usually for exorbitant prices. So you’ve done your research and identified a contest worth entering and you’ve read the guidelines carefully to make sure what you want to write will qualify. Now, how do you improve your odds? From the opening email, publishers are forming an impression. An email address like “lovemybeagle” or “studmuffin34” doesn’t exactly set the right tone. Use a professional email address, open with a formal salutation, mention the title of your submission and what you’re submitting it for (they may have more than one contest or publication), and (unless the guidelines specify otherwise) include your full name and contact information. Submit the story in the requested format and follow any specifications (margins, type size, page numbering) requested. If there are no specifications, use a standard type font (like Times New Roman, for example), in 12-pt size, double-spaced, with one-inch margins. Don’t give the story away (Mark Saves the Planet), and don’t wimp out with a generic phrase (The Planet). The title should set the tone for the story and be compatible with the style, imagery, and tone of the story yet leave something to the imagination. Consider a line of dialogue, an obscure term or phrase, a twist on a cliché or cultural reference, or a pairing of unrelated words (think rock band). Like the frame of a painting, the title should set your work off to its best advantage, not just package it. Craft a fantastic opening line and an attention-grabbing first paragraph. Hook readers as quickly as possible by drawing them in with action, dialogue, and intrigue. Don’t begin with background information; start in the middle of a fight or the discovery of something surprising. Set up the story, the characters, and the setting, but don’t say too much too fast. Create an element of mystery that will keep readers (and judges) reading. Read the submission guidelines carefully and follow them exactly. Then, think about how you can break away from the herd without breaking the rules. Do the guidelines specify a genre? If not, consider writing a mystery, fantasy, or even a western. Choose an unusual point of view, a different setting, or something else outside the norm. Go beyond the expected. Winning stories aren’t just good, they’re extraordinary. What is the minimum word count? Many submissions will come in near the maximum (it’s human nature). Why not go small and focused? If it’s an anthology, there may be a little bit of room left, and your short piece could just fit! Even a light, humorous story can tap into a bigger theme by incorporating a universal truth or moral. Just don’t be too obvious. Let elements in the story take on greater meaning as the story progresses, so readers can discover their significance and recognize the message on their own. Give them a story that resonates and then sticks in their mind. Write a story the judges keep coming back to. It shouldn’t need to be said, but proofread your work. We get submissions that have typos, misspellings, missing words, grammatical errors, and other obvious problems the writer should have caught. If you’re taking the time to enter a contest, you should take the time to correct mistakes and make your work the best it can be. About How to Write Winning Short Stories. It’s a practical guide to writing the kinds of stories that win contests and get selected for publication. The book covers structure, dialogue, point of view, and yes, contests. Each chapter concludes with a checklist to help writers review their own work. Thank you, Nancy, for this list for grabs. I like contests where judges give some sort of feedback, no matter how well or bad you did. That makes the fee worth it. I liked what you said about contests allowing you to gain visibility, but contests that are not legit make sure everyone is a semi-finalist. Well said. I think some authors would just be happy to tell peope they've been qualified as semi-finalists just to boost their credentials, but it really doesn't mean anything. I like the experience contests give me. I entirely agree.